This blog was written for my employer @Captovate. I find it fascinating that as cloud computing grows in normality in the digital world, more questions arise from how it is administered. The ‘partnership’ between one social Goliath and a growing influence, isn’t black and white – there are distinct grey shades there too. 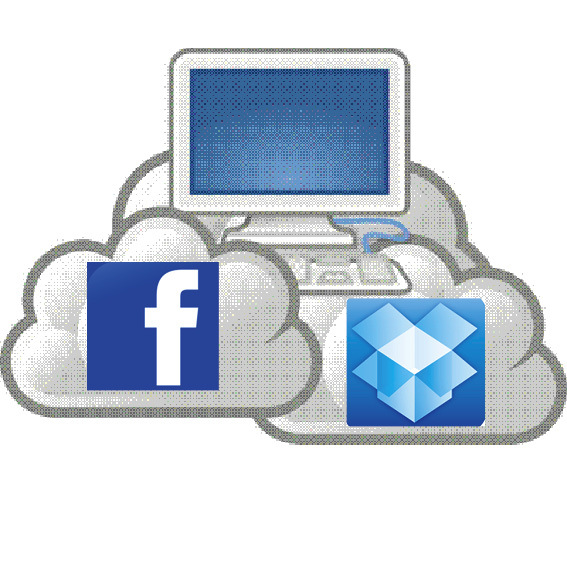 Cloud computing is changing the way we share and store information, and Dropbox is a company benefiting from the ‘cloud boom’. The cloud (non-existent place in cyberspace) allows us to move and store our files off our computer and external harddrives, and utilise its expansive universe. While there may be a perceived risk in trusting your important files to the ‘cloud’, there are some great advantages to it too. For those of you alredy signed up to Dropbox, you already know how useful it is. If you want to swap files between computers, have groups using single working-files without the need for an international server, or send files to people with access to your account, it’s an invaluable tool. It’s available as a desktop widget, a smartphone and tablet app, but is expanding even further into social networks. Dropbox has announced a partnership with Facebook to provide an app that allows users to swap files from their profiles. According to a statement made by a Facebook representative, “When the owner of the file makes updates, those updates will also be shared back to the group. And, just like other posts to Facebook Groups, people can like or comment on the content” (From Mashable). This has some enormous implications for companies who wish to provide information to their Facebook communities via their Pages, Groups that want to share files with members, on top of enabling your average user to swap photos, video or audio. Which elicits an interesting dilemma – will this app allow friends to swap music, movie and TV files? While Dropbox has repeatedly claimed that it isn’t responsible for the way users utilise its services, Facebook hasn’t needed to keep ‘illegal file-sharing’ considerations in mind. In an age where big companies have spent millions investing in ways to limit illegal file-sharing, it makes you wonder: if this dilemma has been considered by both companies, what actions will they take to curb the murky possibilities. Previous 1 billion people with internet-enabled mobiles: are you ready NT?